Our guide told us ‘tap the sides of your kayak’ so the Humpback whales ‘know you are there’. Surrounding us were whales feeding and breaching. That we were in the midst of a pod of whales was awe-inspiring, humbling and somewhat frightening. Ours was a Zen meditation kayak trip. Each morning and evening we shared in the Zen practice of becoming still and open. Half the day we’d paddle and sometimes simply float. Always in silence, allowing the sounds and sights to fill our senses. The silence created a container within which we could experience what each moment offered. It has been fifteen years since I communed with the humpback, bear and eagles of Tebenkof Bay. I remember the wisdom of living in the moment of being present to the now. To live in the moment is counter cultural. Often we live in the past or in the future and even in the present are easily distracted by what doesn’t matter. There’s something special however about floating in your kayak knowing that another world of whales and fish are below you. You ‘knock on your hull’ to let the whales know you are there and to remind yourself to live in the now. Contemplatives call such heightened awareness being awake. The challenge is to spend more time being awake than being asleep. Another gift from that kayak trip was being introduced by our guide Kurt Hoelting to the poetry of Mary Oliver. 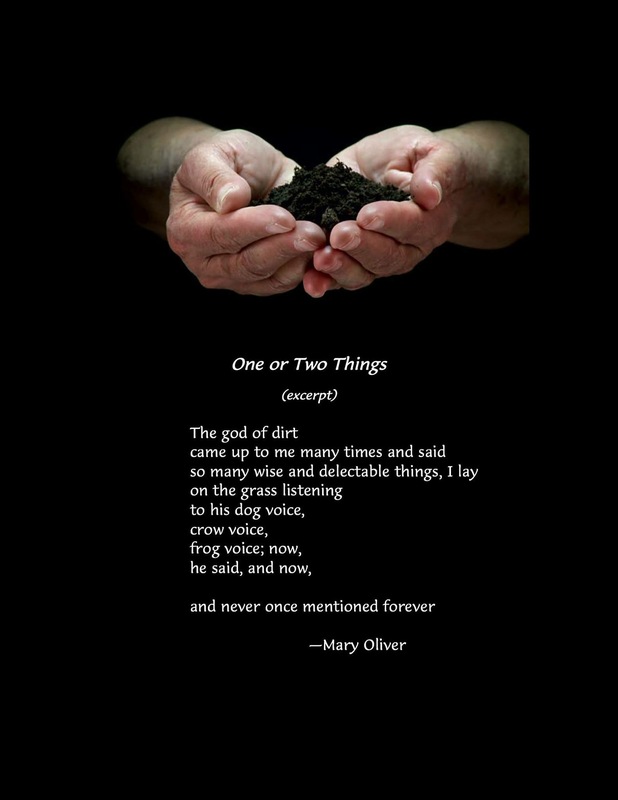 Mary Oliver a prophet, poet and mystic invites you to dig in the dirt and float on the water. To take notice. For ten days eagle, whale and bear spoke to me. I smelled the earth and felt the wind. Each offering wisdom. Silence creates space to see, hear and receive. Martin Luther said, eagle, whale, bear, dirt and water are ‘little words from God’. 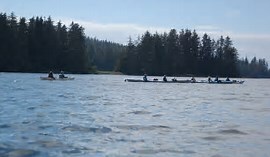 The Tlingit’s who have lived in Tebenkof Bay for thousands of years know that Spirit speaks through nature. This day I invite you to join me in being awake. To listen and receive. Good message. Thanks for sharing. Challenging in this busy world. Thanks Marge. Slowing down so as to be amazed takes intention and time. I think of your Mom as being good at this. Esther maintained a sense of joy and wonder throughout her life which I think came from her ability to notice and appreciate the little joys in life. She was truly a gem and a teacher to me.